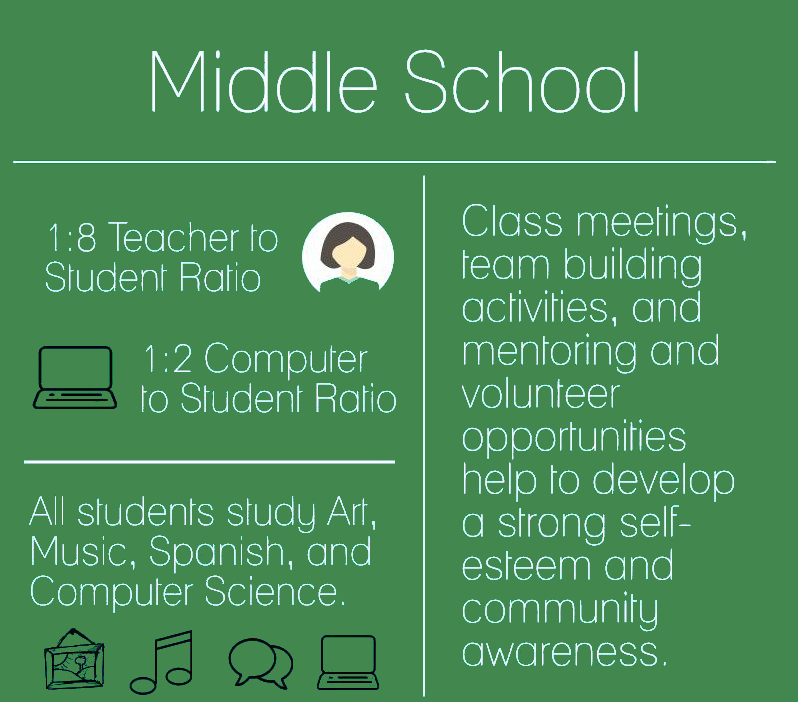 The Middle School classroom consists of fifth through eighth grades. Four licensed teachers are assigned to the classroom along with several special-subject teachers. Group lessons are provided for each curriculum area and supplemented with individualized instruction. 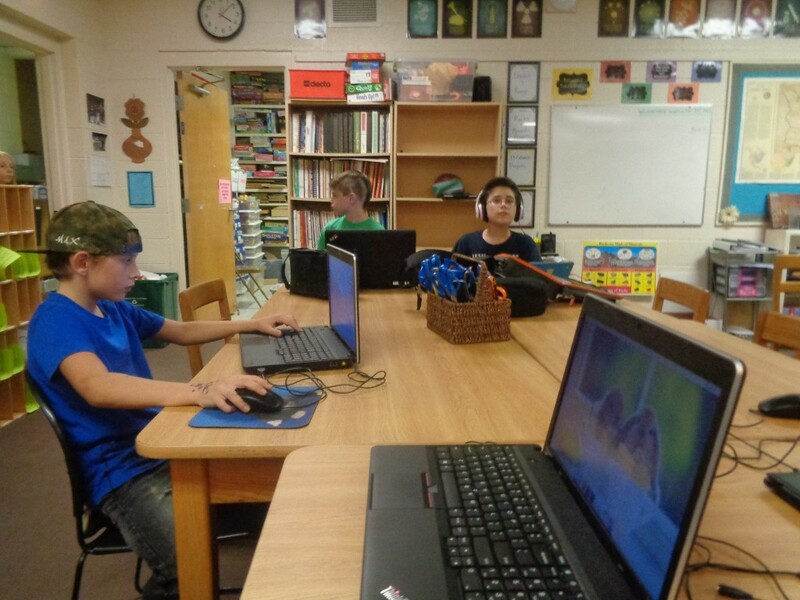 All Middle School students participate in a variety of enrichment and elective classes. Community service is stressed, as students have opportunities to mentor others in the school as well as help those in need throughout our Knoxville community and around the world. The Middle School classroom serves students during a time of great change and growth in their lives and strives to ground them in self-awareness, a love of discovery and a commitment to compassion in the years ahead. The Middle School program at Garden Montessori is accredited by Advanc-Ed and licensed by the Tennessee Department of Education. The school day is from 8:15 am until 3:30 pm. Students may arrive after 7:30 am and stay until 5:30 pm as needed.